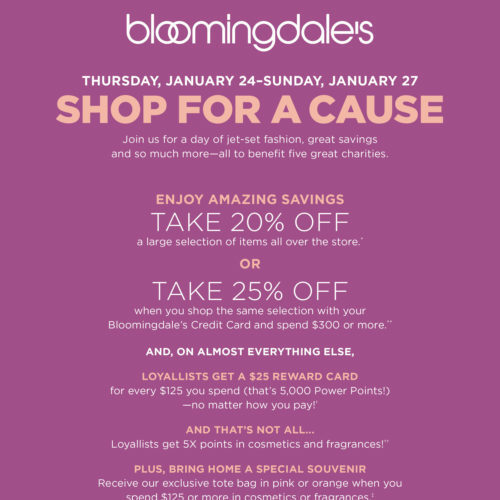 6:00 PM BLOOMINGDALE’S – GET IT BRIGHT 2019! A runway of multicolored stripes, saturated blues and colorful new prints. 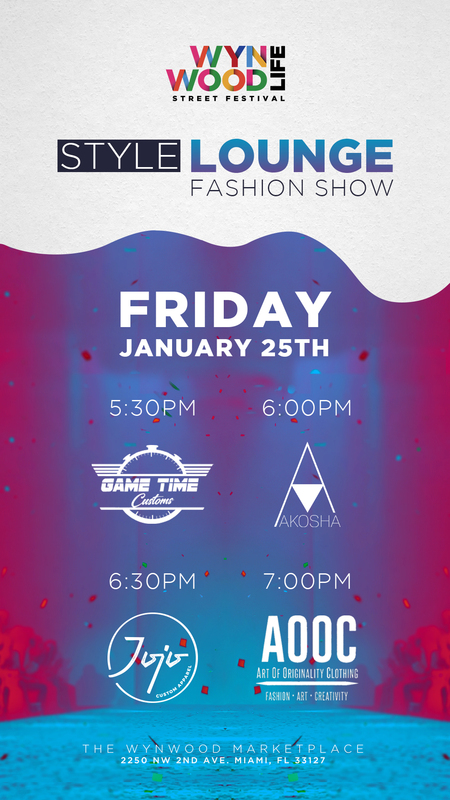 7:00 PM BLOOMINGDALE’S – PANTONE 2019! A show full of Living Coral, crowned the color of 2019 by Pantone. 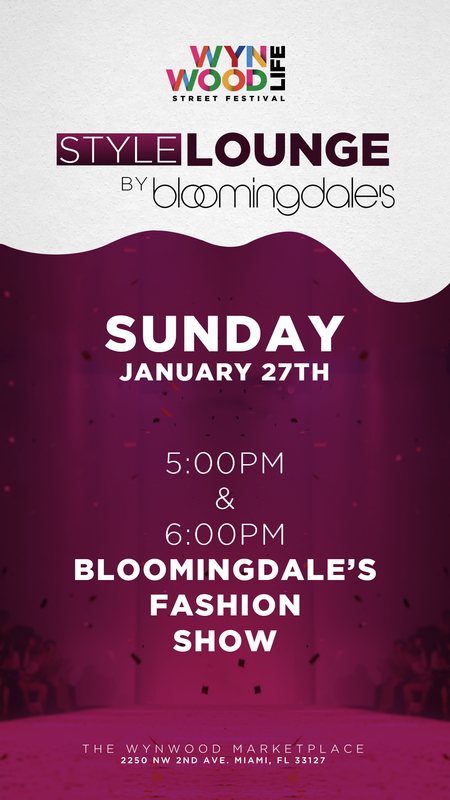 5:00 PM BLOOMINGDALE’S – VACATION MODE ON! Cutting edge pieces that will travel in style with you! 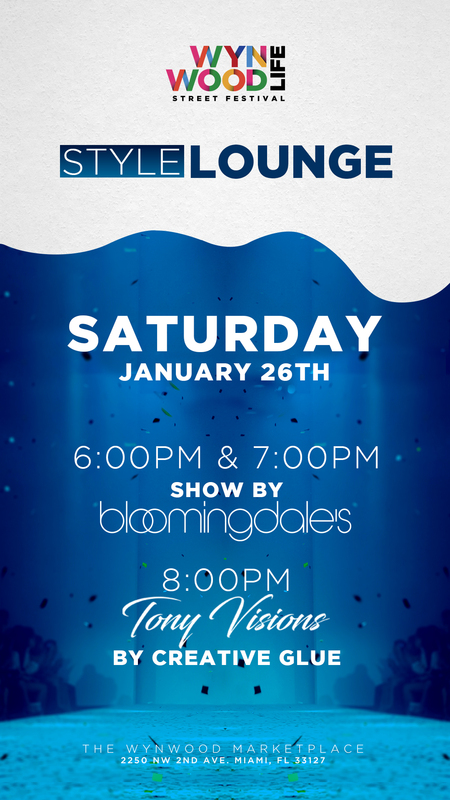 6:00 PM BLOOMINGDALE’S – SWIM AND KICKS! Inspired by life at sea, this runway takes its cues from sailing style with tropical hits of color and beach-friendly shoes. We Handpick the Best Designers in Fashion, Beauty and Beyond! 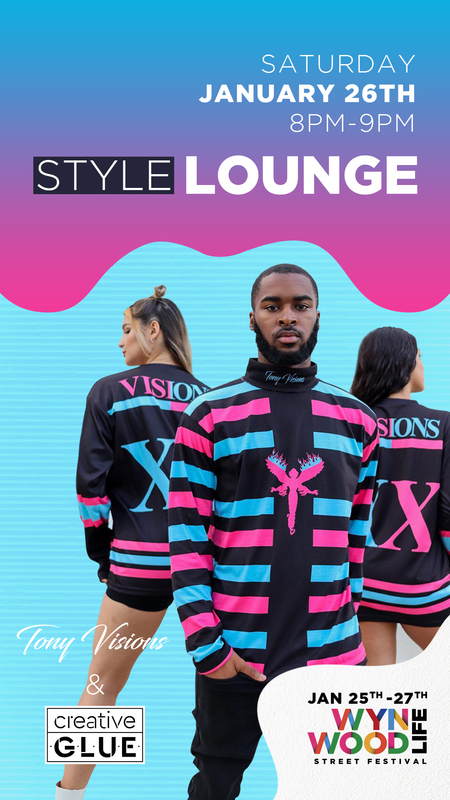 Enjoy the best of Wynwood Looks at our Style Lounge — your dream destination for all unique trends that will take you to an exciting world of style. 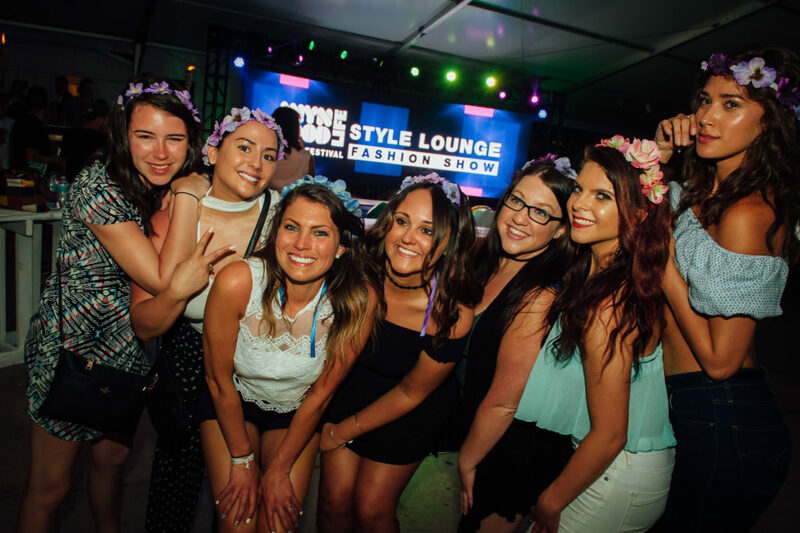 From live performances, beauty stations, and the BEST craft cocktails amongst today’s millennial bloggers, the Style Lounge promises to be your destination for amazing haute activities everyone will love. From runways to trenches the Tony Visions state of mind builds paths for individuals to embrace and excel in their arts. Over 90% of garments are hand made and altered for one specific owner. We strive to keep fashion exclusive, undefined and ever-changing. Through fashion, we bridge gaps and break barriers. New trends for new days and quality threads that never fade.